Today is one of my go to outfits, a chunky cable knit sweater, skinny jeans and heels. This could be my daily uniform! Isn't it so exciting when the weather finally hits the 60s in FL and we can wear these sweaters!!! Love your "uniform". The color of this sweater is so pretty and looks great with your coloring. In love with the coziness of a cable knit sweater! That color looks so good on you! Gorgeous outfit! Love the color combos! Gorgeous outfit! I absolutely love the statement necklaces, they are perfect. 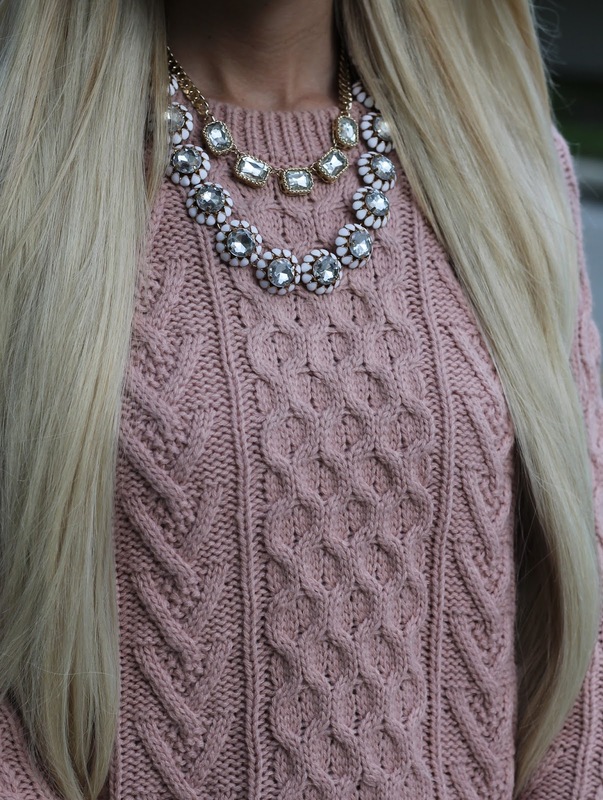 Love how you layered the necklaces! Hey I've just discovered your blog! I'll definitely follow you! Loving the necklaces ILY couture is so fantastic.